Well-planned, organized family camping at the pack level helps fulfill the promise made to our Cub Scouts. Packs and Webelos dens may register. Family camping is available at Bovay Scout Ranch and Camp Brosig. Resident Camp is held at Bovay Scout Ranch near Navasota, TX. Webelos Coyote Extreme is a weekend campout for 4th and 5th grade Webelos Scouts at Bovay Scout Ranch. Webelos Scouts are introduced to basic Boy Scout skills. 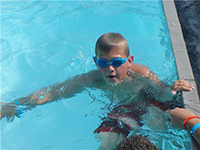 Day camp is open to all registered Cub Scouts (including kindergarten graduates). At summer camp, Boy Scouts can earn merit badges, learn and practice their Scouting skills, follow the patrol method and work towards advancement. Summer Camp Staff - The council is looking for a few dedicated individuals to serve Scouting by being a staff member at one of the council's camps. 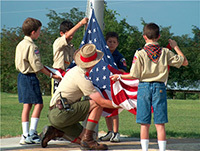 Troops can camp at one of our council camps: Tellepsen Scout Camp, Bovay Scout Ranch, Camp Brosig. Winter Camp is a wonderful opportunity for troops to camp and Boy Scouts to earn merit badges. Merit badge classes are taught by Scouters with real-life experiences in the field. 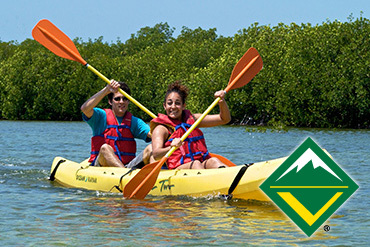 Troops and crews can sign up for one of four exciting BSA's High Adventure Bases: Florida Sea Base in Florida; Northern Tier in Minnesota; Philmont Scout Ranch in New Mexico; Summit Bechtel Reserve in West Virginia. Philmont Council Contingent: Each summer, the council sends several contingent to Philmont Scout Ranch. National Scout Jamboree is a gathering of approximately 45,000 Scouts that showcases everything that is great about the BSA. OA High Adventure Programs are a unique opportunity for Arrowmen to spend two weeks at a high adventure base for a life changing experience. Weekend camping is available for crews at Tellepsen Scout Camp, Camp Brosig and Bovay Scout Ranch. For additional information or questions about camping, contact the district camping chair.